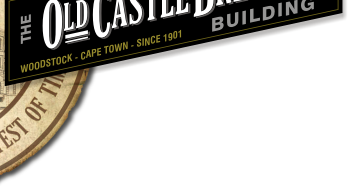 This Old Castle Brewery Website was created, mainly as an information site of this wonderful and vibrant building's past, present and future. This building was up for demolition in the early 1980’s, but has thankfully been saved! You can read all about it as you visit the different information pages. Should you have stories or memories you want to share, please do so through the “contact us” page. We would love to share news worthy happenings. The information used for our website was largely compiled using Michele Sandilands Research done in 1982, newspaper articles and first hand testimony from Willem Otten.